Each week during the 10 Pound Challenge, I’ll outline 5 different mini-challenges. Your job is to choose 1-2 of them to fully commit to for the week, and you may choose to continue that practice for the remainder of the challenge. You may wish to do more than 2 of the challenges, and you are welcome to do so, but be sure to fully commit to 1 or 2 so that you don’t get overwhelmed too quickly. You’ll select your challenge in the weekly check in, but I provide a bit more explanation for each of them here. 1. 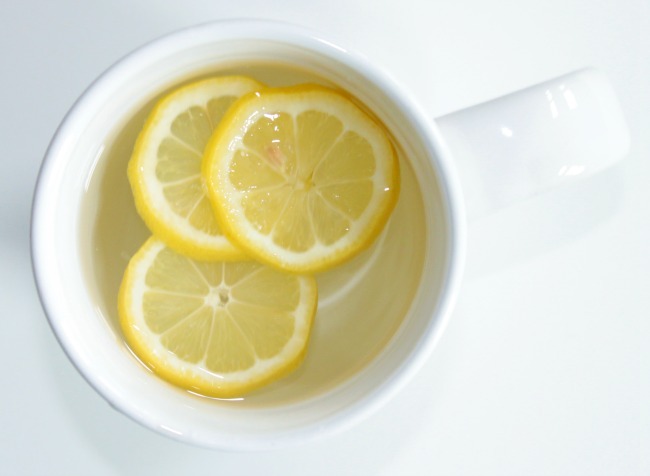 Start each day with warm water and lemon. Sleep is very dehydrating, so it’s important to have some water as soon as possible after waking up. Even better, warm water with a squeeze of fresh lemon is a gentle way to help cleanse the liver and encourage the digestive tract to “wake up”. It’s simple, just heat up some water (very warm, not boiling is ideal), squeeze in about 1/3 of a lemon, and enjoy! You can add a teaspoon of raw honey or a couple of slices of ginger for added health benefits. Processed meat is full of fillers, preservatives, nitrates, artificial flavours and colours, and more. It’s a recipe for disaster, or more specifically, health issues. It’s been linked to colon cancer and several other diseases, so it’s wise to limit your consumption as much as possible. If you regularly consume lunch meat, pepperettes, bacon, sausage, meat from fast food/sandwich/sub shops, or others, you may want to choose this challenge! Instead, prep some meat at home twice this week to use in your meals. Add it to salads, soups, sandwiches, or snack on it by itself. Meditation is not just for your hippy aunt. It’s one of the most powerful ways to combat stress and create a healthier, happier, lifestyle. Whether you’ve never meditated before or you’ve tried it a few times, challenge yourself to meditate 3 times this week for at least 10 minutes each time. It could be when you wake up, on your lunch break, after work, before bed, or whenever you’d like to carve out a little time for yourself. Try a guided meditation, which will talk you through the process and help you stay in the zone and out of your head. I recommend the free app Insight Timer, as it’s what I use and love, but there are several guided meditation videos on YouTube to try as well. Once you give it a fair shot, you’ve love how peaceful and grounded you feel after, trust me! 4. Try a new fruit. Did you take the challenge to try a new vegetable last week? This time, it’s time to head to the exotic fruit aisle and get something you haven’t had before! Some of my favourites include dragon fruit, papaya, pomegranate, mangosteen, or husk cherries (winter cherries). If those aren’t readily available to you, pickup some dried apricots or dates from your bulk food store, or just choose a fruit you don’t typically eat. We want to get you out of your comfort zone and enjoying more fruit, so have fun with this one! 5. Warm up for 10 minutes before each workout. Last week, the exercise challenge was to stretch after working out. Equally as important as stretching is warming up, as it helps to prevent injury and improve the effectiveness of your workouts, just to name a couple of benefits. Spend some time walking, cycling, or doing your strength exercises without weights to activate and warm up the muscles (eg. bodyweight squats).